The Norwich Public Schools Education Foundation is pleased to announce it recently awarded a total of over $5,800 in grants to Norwich Public Schools classrooms. 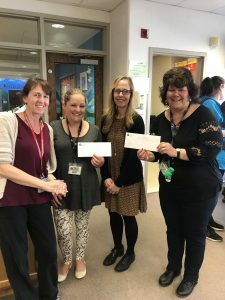 The Foundation awarded $2,700 for new books for seven (7) Norwich Public Schools elementary schools and two (2) Early Learning Center libraries. 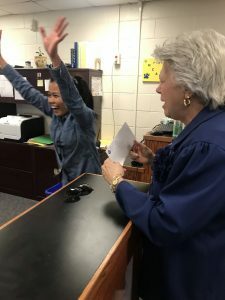 The Foundation then awarded over $3,100 for grants including supporting math concepts and science discoveries in NPS Early Learning Centers; Adding materials and tools to classrooms supporting students with autism; and Munch Madness, a school-wide event supporting health and nutrition education. The Norwich Public Schools Education Foundation has awarded over $66,600 to Norwich Public Schools classrooms since 2011. All are welcome at the Foundation’s next meeting on Monday April 29 at 6pm at NPS Central Office: 90 Town Street, Norwich as we continue our mission of supporting student achievement and enrichment in each and every Norwich Public School student. No contribution to this goal is too small – We welcome your thoughts and ideas! Previous Post: « Next Meeting: April 29: All are Welcome!